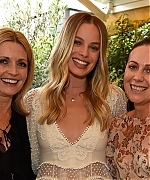 Thanks to our friend Lora from Yours, Charlie, we’ve added in the gallery an old event of Margot that was missing (from 2009!) which is the Network 10 Program Launch in Sydney. We’ve also replaced some outtakes from a 2008 photoshoot with the HQ versions. Margot was such a baby in those pics! Be sure to check them all in our gallery, and follow the site twitter @MargotRobbieCom to stay tuned on all the latest updates! 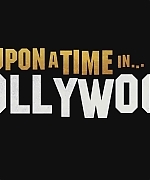 The Toronto International Film Festival has released its list of films to release this year. Margot’s film I, Tonya is one of the many films set to premiere. The festival will take place September 7th to 17th. A production still from the film has released that features Margot. You can check it out in the gallery! Margot Robbie plays Tonya Harding in this biopic of the disgraced Olympic figure skater. Today is the beautiful and talented Margot Robbie’s 27th birthday! On behalf of Marvelous Margot, we wanted to wish you a very happy birthday Margot! We are all wishing you another year of happiness, success, joy, health, and love. We hope you get to spend it with all your family and friends! Have a wonderful day! Tweet all your birthday wishes to @MargotRobbie! Back on Tuesday, June 27, Margot – together with Nicky Zimmermann – hosted a dinner to celebrate the launch of the Zimmermann London Flagship Store Opening at 5 Hertford Street in London. She looked beautiful – after several months withouth appearing in public – wearing a Zimmermann white dress. Yesterday (June 24) Margot attended Day 2 of the Glastonbury Festival! Margot was seen with her Suicide Squad co-star, Cara Delevingne. High quality photos of Margot at the festival have been added to the gallery. Earlier today, Margot was seen attending Day 1 of the Glastonbury Festival! Margot was seen with friends including her Suicide Squad co-star, Cara Delevingne. The gallery has now been updated with photos of Margot at the festival! Be sure you’re following us at @margotrobbiecom to keep updated in real time. Grand Opening of Marvelous Margot! Welcome to Marvelous Margot, a fansite dedicated to the one and only Margot Robbie. Margot is most known for her role as Naomi Lapaglia in The Wolf of Wall Street and as Harley Quinn in Suicide Squad and her recent works include The Legend of Tarzan and Whiskey Tango Foxtrot. Margot is set to star in many films over the upcoming years including I, Tonya, Terminal, Peter Rabbit, Goodbye Christopher Robin, Mary Queen of Scots, Gotham City Sirens, and Marian. Nicole and I have been working on the site since the summer of 2016 and we are very excited to finally be able to launch the site. High quality pictures from Margot’s appearances throughout the years, photoshoots, magazine scans, and screen captures of her works can all be viewed in our photo gallery, currently holding over 63,000 photos. We have various pages for you to read more about Margot, her career, facts, and more. Please take a look around the site! We hope to provide all you Margot fans with all the latest news, photos, media, and more on Margot’s career. 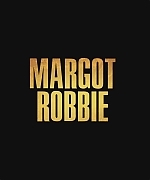 Be sure to follow our twitter: @margotrobbiecom for real-time updates from the site! Back on April 25, Margot attended the Time 100 Gala. She looked beautiful wearing a Prada dress and shoes along with Delfina Dellettrez jewelry. HQ photos from the gala have been added to the gallery!